Don’t be afraid! 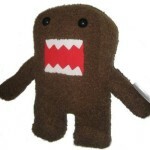 This HUGE Domo will not eat you! but he just may eat everything else in his path.